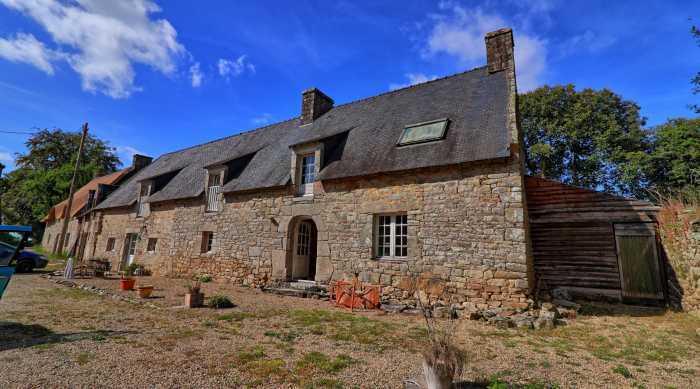 Located in a small hamlet in the countryside, between Pluvigner and Languidic, is this beautiful ensemble including a farmhouse with two homes and the possibility of a third, another small house to renovate and 2000m ². 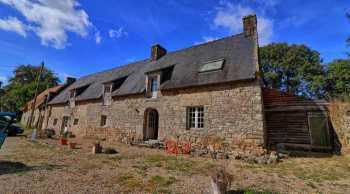 The farmhouse dates from around 1780 and was renovated to offer two units. In RdC you have the first housing with a big room to be lived with chimney and corner cooks, a room and a room of water with TOILET. Upstairs with independent access from the back of the farmhouse, is the second housing and also offers a large living room with kitchenette, two bedrooms and a bathroom with toilet. In extension is a small house under renovation and could make a third home once the interior is develop. In front of the farmhouse is a small stone house under tiles which is to renovate entirely, but which already has the planned connections to the current sanitation. Fireplace, Double glazing, Internet, Well.